Budding singer songwriter Bri Clark is making waves across the Australian music scene with her latest single ‘Giving Up’. The Perth artist quickly captured the attention of the industry when the track was nominated for the 2018 Vanda & Young songwriting competition prior to its official release in September. Debuting at #1 for its first two weeks in the world on the triple j unearthed charts, the track was added to Spotify’s New Music Friday AU & NZ and the New Alt Indie playlists. ‘Giving Up’ has had an instantaneous effect on the Australian music community. After rallying a wake of fans from far and wide with her haunting vocals, brooding melodies and dark pop vibes Bri Clark is excited to share a new live video of the powerful song as well as treat her East Coast audience to a pair of intimate upcoming performances. Crafting a sound that is entirely of its own ilk, Bri Clark channels a sense of heavy weightlessness on ‘Giving Up’. The single is a reflective memoir of a crumbling relationship that builds from soft, beckoning guitar strumming to soaring heights of layered vocal harmonies. The new live video from John Aliaga recorded at Vision Studios, Perthsees the young artist stripping the layered production back to its raw beginnings of just Bri, her voice and her fingertips. Seated at a grand piano with nothing but a peppering of warm tungsten bulbs, the performance is an exquisite taste of what’s to come at her live shows. As an inaugural recipient of APRA’s female songwriter mentorship in 2018, Bri has had the opportunity to work and collaborate with a spread of fellow musicians and industry professionals and most recently featured on the well-received single ‘What We’ve Done’by Angus Dawson. Fresh off the back of the APRA AMCOS SongHubs intensive song writing boot camp, a standout performance at Bigsound’s Songwriter Showcase, and WA’s annual WAMFest, Bri Clark is thrilled to finally venture across the way to treat Melbourne and Sydney to a pair of intimate live shows this November. She will also take part in Specific Music’s 50 Songs In 5 Days, an APRA AMCOS sponsored, invite only songwriting event which brings together world-class songwriters, artists and producers. With a voice steeped in pain, yet undeniably mesmerising Bri Clark can capture and hold a room in the palm of her hand. Do not miss your chance to catch this noteworthy name in Australian music. Expect big things. Perth based Pop Punk band Nautical Mile have just released their new single and music video ‘A Life Worth Dying For’. They have also announced a run of Australian tour dates. Neck Deep. Their sound is often described as “5 Seconds Of Summer meets Sum 41“. ‘Playing For Keeps’ quickly made their way onto on Triple J – ‘Short.Fast.Loud’. Following a period of focused writing; Nautical Mile released single ‘Better Half of Me’ in mid-July. The band have continued to build a reputation for explosive live sets and soaring vocal harmonies, establishing a dedicated local following. Since their debut they have shared the stage with the likes of Trophy Eyes and Hawthorne Heights. Nautical Mile are now gearing up to stun audiences on their upcoming Australian tour which kicks off later this month. 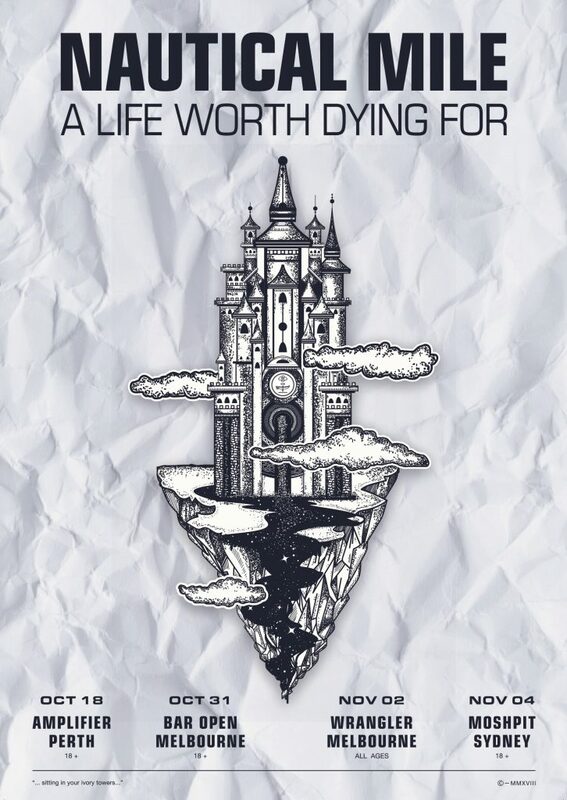 New single ‘A Life Worth Dying For’ is available for download on all major online stores. 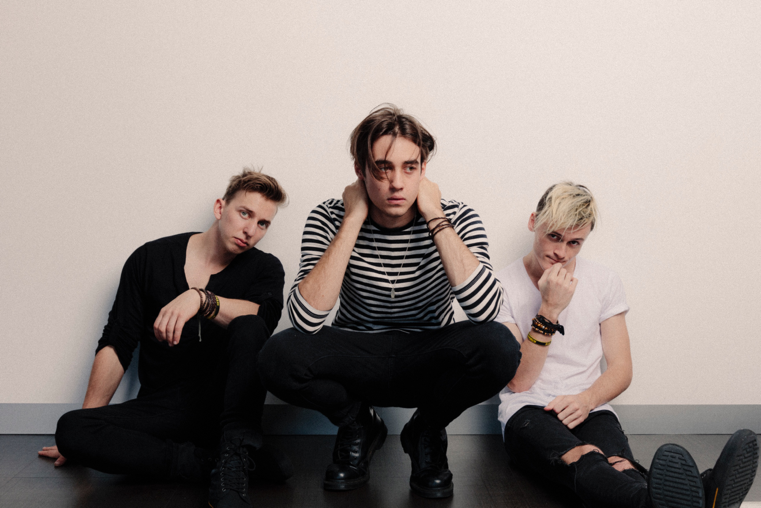 Perth rockers (and burgeoning international superstars) The Faim have just released the video for their anthemic new single ‘A Million Stars’. The clip was premiered by influential L.A music site Ones To Watch. The video was filmed in Berlin, Germany and follows frontman Josh Raven as he reminisces over a past love interest. ‘A Million Stars’ also appears on the band’s debut EP, Summer Is a Curse, which serves as a prelude to their hotly-anticipated first full-length album, slated for release in 2019. In other news, The Faim are excited to announce their first ever U.S. tour, supporting fellow Aussies, Hands Like Houses, in November and December. The group will also share the stage with Emarosa, Devour The Day, andArlington. The trek begins and ends in California, kicking off in San Francisco on Saturday, November 10th and wrapping in Los Angeles on Sunday, December 9th. The run of dates also hits major cities including Chicago, Boston, New York City, Philadelphia, Nashville, and Atlanta. The Faim are also currently on tour in Europe supporting Against The Current, which concludes in Paris next week on Thursday, October 11th. A full list of shows is included below. Since the release of their new EP, The Faim have clocked an impressive 8+ million total global streams, as well as over 5.5 million globally on their smash single, “Summer Is a Curse.” The band’s music has also landed on notable Spotify playlists including New Music Friday, Rock This, The New Alt, Top of the Morning, The Scene, and New Noise.